Israeli forces detained seven Palestinian teenagers on Friday afternoon during clashes near the northern entrance of Bethlehem. Witness Bilal al-Kurd said an undercover Israeli unit detained the youths during clashes in the area, and that the youths were taken to the 300 checkpoint just north of the city. He added that Israeli soldiers also raided the area around a nearby cemetery and fired rubber-coated steel bullets and tear gas at Palestinians. An Israeli army spokeswoman did not immediately return calls seeking comment. 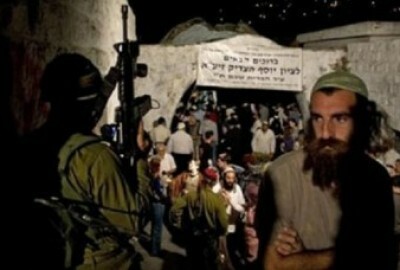 The clashes occurred near Rachel's Tomb, which has been the site of near daily clashes in recent weeks. The areas around the holy site are a frequent site of clashes because it is surrounded on three sides by the Israeli separation wall despite being in the middle of the Palestinian city of Bethlehem. Israeli forces have opened fire on local youths during these demonstrations, injuring dozens with live bullets and rubber-coated steel bullets over the last two months. The Israeli magistrates' court in the occupied city of Jerusalem extended the detention of a Jerusalemite girl and three of her family members from the town of Issawiya on Thursday evening. Local sources told PIC's correspondent that the trial judge decided to arrest the four family members until next Sunday, pending further investigation, on allegations of attacking police officers. Meanwhile, lawyer at the Global Movement for the Defense of Children in Jerusalem Ziad al-Hidami stated that the Magistrate Court's judge in Jerusalem decided to release three Jerusalemite youths from the town of Tur on bail of NIS 500 for each and on condition of home confinement for 5 days. Israeli groups organized a protest demonstration on Thursday evening in Tel Aviv, northern occupied Palestine, to demand the execution of Palestinian prisoners in Israeli jails. According to the Israeli newspaper Yedioth Ahronoth, the demonstrators called for not releasing the Palestinian prisoners in the framework of the peace negotiations, and raised banners demanding their execution. The Israeli occupation regime lately released prisoners who had been arrested before the Oslo Accord, within the framework of an agreement concluded with the Palestinian Authority. Prisoner Mutassim Raddad announced that he has agreed to undergo surgery to remove his large intestine, despite its seriousness, as he has no other choice. Raddad pointed out that his next hearing session is scheduled for the 12th of February, 2014, after his last two sessions have been postponed due to the deterioration of his health condition. Captive Mutassim Raddad, from the village of Saida in Tulkarem northern the occupied West Bank, has already served nine years of his 20-year prison term. He suffers from bowel cancer and is currently undergoing chemotherapy in Ramla prison hospital where he is waiting for the surgery. The Hebrew radio claimed that a Palestinian young man was arrested on Thursday when he tried to break into an Israeli settlement built on Palestinian lands to the south of al-Khalil city. It said that a young man from Dura town tried to storm Hagai settlement with his car, but Israeli soldiers managed to intercept him and round him up. The Israeli army had opened the road near the aforementioned settlement before the movement of Palestinians and allowed them to pass through its military checkpoint there. Two Palestinian youths were shot and injured by Israeli forces early Friday at a checkpoint east of Jerusalem in the West Bank, witnesses said. 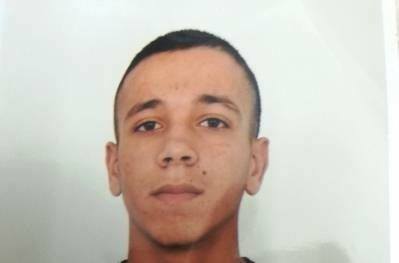 Witnesses told Ma'an that 19-year-old Jawhar Nasser Jawhar was injured by Israeli fire at al-Zaayyem checkpoint near Abu Dis. Jawhar remains in Israeli custody, and was not immediately given access to first aid, witnesses said. Additionally, Adam Abd al-Raouf Halabiya, 17, was injured in the incident. His mother Svetlana, a Ukrainian citizen, said that her son was admitted to an Israeli hospital. She spoke to Ma'an via telephone from the hospital, where she said she was being prevented from seeing her son. She said Israeli soldiers instructed doctors not to answer her questions about his health. Israeli forces also threatened to deport her to Ukraine, she said. An Israeli Border Police spokesman was unable to be reached for comment. Several Palestinians suffered the effects of teargas inhalation in Methaloon village, south of the northern West Bank city of Jenin, after dozens of soldiers invaded it, and clashed with local youths. Local sources said local youths threw stones and empty bottles at the invading soldiers, and that the army fired concussion grenades, and gas bombs, causing several residents to suffer the effects of tear gas inhalation. The sources added that the soldiers broke into several homes in the town, and ransacked them before interrogating the families. Furthermore, the soldiers handed resident Tawfiq Rabay’a, 27, a military warrant ordering him to head to a nearby military base for interrogation. On Friday evening, soldiers kidnapped Khaled Ahmad Rajoub, 41, from Doura town near Hebron, as he was in Al-Harayeq area, south of Hebron city, in the southern part of the West Bank. The soldiers also invaded Beit Ummar nearby town, broke into several homes, and used several rooftops as military towers. Army also invaded various communities in the Hebron district, interrogated dozens of Palestinian, and searched cars and homes. 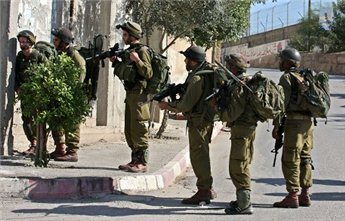 Soldiers kidnapped one Palestinian in Hebron, and five others in Jenin. Three Palestinian detainees, held by Israel under arbitrary Administrative Detention orders without charges, have been on hunger strike since March 9, and are determined to continue their strike until their release, or a day in court. Head of the Legal Unit of the Palestinian Prisoner Society (PPS), Jawad Boulos, said that three detainees, Akram Al-Faseesy, Moammar Banat, and Waheed Abu Mariyya, are currently held in the Ramla Prison “Clinic”. Last week, they were moved to the clinic, which lacks basic supplies, following a deterioration in their health conditions. Boulos said the three detainees are held in two rooms at the clinic, isolated from the rest of the ailing detainees, and are only drinking water mixed with some salt and sugar. He added that the bodies of the detainees are fragile, weak, with clearly noticed serious weight loss. The three detainees are from the southern West Bank city of Hebron; they never faced charges, they were never interrogated, and are just held under administrative detention orders, in direct violation of all related human rights treaties. In related news, dozens of soldiers invaded Section 7 of the Negev Detention Camp, searching the rooms and tens of dozens of detainees. 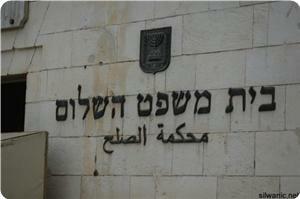 The soldiers assaulted several detainees, beating and pushing them around, while cursing at them. The prison administration decided to impose further restrictions, and punish the detainees more, by turning the section into a solitary confinement area. The 15-year old Jerusalemite Obaida Amer Is’eed suspended his open hunger strike on Thursday morning after the prison’s administration promised him to transfer him within 10 days to a prison designated for “security prisoners”. The Jerusalemites detainees and prisoners committee which quoted lawyer Fawwaz Shallodi (Palestinian Prisoner’s Club lawyer) who visited the prisoner on Thursday in Ofek prison, said that he is detained in a room which lacks any electronic device by himself. The lawyer stressed that Obaida has high spirits and is determined on getting his rights. It is noteworthy that Obaida announced the hunger strike to protest against transferring him to Ofek prison with the criminal prisons; note that he has been arrested for 3 months on charges of throwing Molotov cocktails and he was previously arrested and was released last October. Israeli forces on Thursday arrested a Palestinian who allegedly attempted to break through an Israeli checkpoint in the southern West Bank. 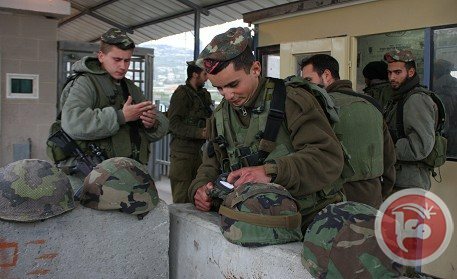 An Israeli army spokesman Luba Samari said in a statement that a Palestinian man had smashed into the gate of a checkpoint with his car near the entrance of the settlement of Beit Hagai south of Hebron. Jerusalemite prisoner Hamza Kaloti suffers from serious health deterioration due to Israeli deliberate medical negligence policy against Palestinian prisoners. Youssef Siddiq Institution confirmed that Hamza, 44, suffers from different diseases including arthritis, asthma, high blood pressure, hemorrhoids, and Colon inflammation. In addition, he has been suffering from abdominal hernia for the past four years without receiving any medical treatment, the institution quoted the prisoner's family as saying. The family appealed to human rights organizations to act in support of Palestinian sick prisoners who are the Israeli medical negligence policy's victims. The sick prisoner Kaloti, who has Ph.D. degree in journalism, has been detained since 2001. He is serving a life term imprisonment. 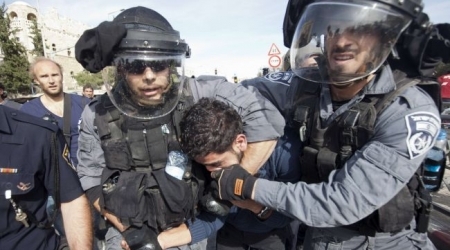 Israeli occupation forces arrested 17 Palestiniansfrom different areas in the West Bank in the last 24 hours. On Thursday at dawn, a huge Israeli troops stormed Jenin governorate and arrested Sohaib Jarar,25, from Wadi Barqin village to the south of the city. Local sources said that Jarar family was surprised by the presence of Israeli soldiers in their house, as they were able to open the house doors without making any noise. The IOF also arrested six Palestinians from Jabaa village near Jenin, and another one from Rantis village to the west of Ramallah. In Hebron city, the IOF arrested a Palestinian from al-Fowar camp and another one from Dorah south west of the city. 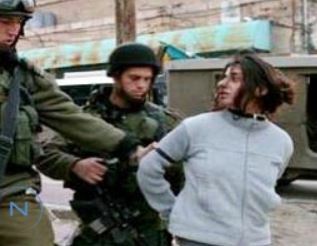 On Wednesday evening, the IOF arrested seven Palestinians including a girl from Al-Issawiya village in occupied Jerusalem. Local sources reported that Israeli troops stormed several houses in the village, attacked women by pepper spray and arrested the seven youths. Israeli media sources allegedly claimed that the girl tried to stab one of the Israeli soldiers while they were trying to arrest her. The Israeli occupation forces (IOF) on Wednesday evening kidnapped seven Palestinian citizens from one family, including a young girl, and clashed with others during a violent campaign in Issawiya district in the eastern part of occupied Jerusalem. Local sources reported that a large number of Israeli soldiers stormed the neighborhoods of the district and clashed with its young men who responded by throwing stones and empty bottles. They said that the invading troops raided the neighborhood of Abul-Hems and physically assaulted its residents including women and children before kidnapping seven Palestinians from Abul-Hems family. For its part, Abul-Hems family denied the Israeli police claims that Hanin Ahmed, a girl from the family, tried to stab one of the Israeli troops, affirming that the police made such claim in order to justify the arrest of the girl and the barbaric behavior of its troops, who brutally attacked many families in their neighborhood. 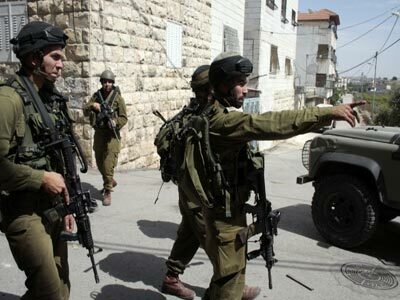 Israeli soldiers invaded several Palestinian communities in different parts of the occupied West Bank, searched them, and kidnapped five Palestinians near the northern West Bank city of Jenin, and one near Hebron, in southern West Bank. Dozens of soldiers invaded the Jaba’ town, south of Jenin, ransacked several homes after breaking into them, and kidnapped five Palestinians. The five kidnapped Palestinians have been identified as Mahran Rami Fashafsha, 20, Kamal Nasser Alawna, 21, Rami Fadel Alawna, 27, Tareq Mahmoud Alawna, 23, and Waheeb Nasser Mohammad Alawna, 24. Eyewitnesses said the soldiers caused excessive damage to several homes after violently searching them, and forcing the Palestinians out. In related news, dozens of soldiers invaded the Halhoul town, north of Hebron, and kidnapped one Palestinian near the Ibrahimi Mosque, in Hebron city. Local sources said the soldiers took resident Samer Mahmoud Za’amra, 23, from Halhoul nearby town, to an unknown destination. Furthermore, dozens of soldiers were extensively deployed in Doura and Thaheriyya towns, near Hebron, stopped and searched several Palestinians, and interrogated them. Soldiers also installed roadblocks on different roads, especially around towns and villages south of the Hebron district, and roads leading to the heart of the city. In related news, dozens of Israeli soldiers and settlers invaded the northern West bank city of Nablus, and headed towards the Joseph Tomb area, east of the Balata refugee camp, the WAFA News Agency has reported. WAFA said more than nine Israeli buses, and several military jeeps, advanced into the area, while the Israelis went to pray at the tomb site. Several extremists and soldiers harassed Palestinians in the area, leading to clashes, WAFA added. Local youths hurled stones and empty bottles at the army, while the soldiers fire rounds of live ammunition, gas bombs, concussion grenades, and flares. Medical sources said that Zainab Ali Al-Moghraby, 65, and Adnan Khaldoun Al-‘Omary, 13, were attacked and wounded by army fire during clashes between the soldiers and local youths. Eyewitnesses said that Israeli soldiers invaded the al-Eesawiyya town, in occupied East Jerusalem, and kidnapped seven Palestinians, including a young woman. Dozens of residents have been injured; soldiers also attacked a pregnant woman inflicting moderate injuries. Eyewitnesses said that dozens of soldiers invaded the Abu al-Hummus neighborhood, in the town, broke into and searched several homes, attacking the residents. Soldiers also used pepper-spray against several women in the attacked homes. They added that the soldiers violently searched the invaded homes, and kidnapped seven Palestinians, including a young woman. Resident Ahmad Abu al-Hummus told the Palestinian News & Info Agency (WAFA) that several children and women, members of his family, were violently beaten by the soldiers, and that his pregnant sister-in-law was moved to a local hospital suffering moderate injuries, but which could terminate her pregnancy. The soldiers invaded the neighborhood, searching for a young man, and started invading and violently searching local homes before assaulting the residents. Some of the wounded required medical treatment, due to the effects of tear gas inhalation, and to being spared with pepper-spray by the invading soldiers. The soldiers kidnapped four members of Abu al-Hummus family, including a young woman; the four have been identified as Mohammad Abdullah Abu al-Hummus, Mohammad Ahmad Abu al-Hummus, Abdul-Karim Abu al-Hummus, and Hanin Abu al-Hummus. Three more Palestinians were briefly detained. Soldiers alleged that Hanin carried a knife when she was taken prisoner, while her family affirmed she was cooking in the kitchen when the attack took place. And, when she heard a loud noise, resulting from the Israeli invasion, she rushed outside to see what was going on, and was kidnapped by the soldiers. The soldiers were kidnapping her brother when she stopped out, and jumped on her before arresting her as well. Israeli occupation forces (IOF) broke into the home of Suhaib Nasr Jarrar in Wadi Burqin to the west of Jenin city at dawn Thursday and arrested him. Sources close to the Jarrar family told the PIC reporter that a big number of IOF soldiers broke into the house at 0300 am (local time), adding that they were surprised to find soldiers inside their house. 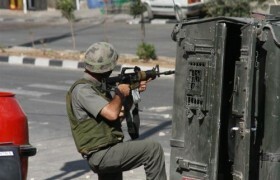 They said that the soldiers used special tools to enter into the house without making a noise and took away Suhaib, 25. 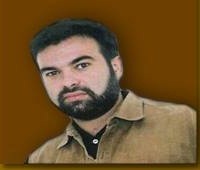 Suhaib is the eldest son of martyr Nasr Jarrar, one of the founders of the Islamic captive movement in Israeli occupation jails in the seventies of the past century and a commander with the Qassam Brigades the armed wing of Hamas. Nasr Jarrar served 16 years in Israeli jails and had both his legs and a hand amputated while test firing mortar shells during the Aqsa intifada on 21 February 2001. Meanwhile, IOF soldiers stormed Jaba village, south of Jenin, also at dawn Thursday and rounded up five young men after storming and searching their homes. Local sources said that the soldiers assaulted the house owners during the search. The soldiers then burst into nearby Seelat Al-Dhaher village and conducted a combing operation but no arrests were reported. The 16-year-old Palestinian prisoner Ubaida Amer Asaid declared on Tuesday an open hunger strike protesting his transfer to the Israeli Ofek jail. Family sources confirmed that the child declared his hunger strike shortly after being transferred from Maskobeyah police station in occupied Jerusalem to Ofek jail against his will. The Israeli police informed Asaid that he is going to be transferred to Hasharon prison as he asked, however they transferred him to Ofek jail against his will. Ubaida was arrested with his brother Osman, 13, on November 25, 2013 on charges of throwing Molotov cocktails at an Israeli police car in Jerusalem. 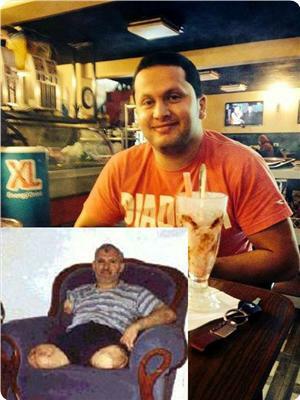 Osman was released on bail and remained under house arrest, while Ubaida was jailed in Maskobeyah police station. Ubaida was arrested more than once where he spent five months behind Israeli bars. Meanwhile, Israeli Magistrate's Court extended the arrest of three Jerusalemite youths till Thursday pending investigation after being arrested Tuesday for throwing stones. In the same context, Israeli human rights organization B'Tselem stated that detention of children under the age of criminal responsibility is illegal, and police are not authorized to interrogate them. “This conduct is particularly problematic in the case of Islam Abu Hamdiyeh, only eight years old, as he was taken away after sundown, with no accompanying adult, and no attempt was made to inform his parents of his whereabouts”, the organization added in a press release issued on Tuesday. B'Tselem demanded that "soldiers be clearly briefed that such conduct is illegal, that neither soldiers nor police officers have any authority to detain children under the age of criminal responsibility, and that once their age is known, the issue must be handled through their parents." "Recently, we have witnessed the military using new methods to deal with Palestinian minors who throw stones. Among other things, B’Tselem has received reports of public posters threatening minors or their parents, personally-delivered threats to a school principal, and night-time interrogations of residents not connected to the stone-throwing in order to pressure the community," the press release added. B’Tselem Executive Director Jessica Montell said: “We’re told that stone-throwing is plaguing the nation and that dealing with it justifies the use of such means, yet B'Tselem has ample documentation of the security forces turning a blind eye to the same offenses when committed by settlers. Children under the age of criminal responsibility are entitled to protection”. Israeli occupation forces (IOF) launched a large-scale arrest campaign in the West Bank at dawn Wednesday that ended with the detention of ten Palestinians. Local sources said that IOF soldiers arrested two Palestinians in Bethlehem city after storming their homes, adding that they were both liberated prisoners. A large number of IOF troops stormed three villages in Al-Khalil and ransacked the home of the Yasseriya municipality council chief Atef Awawde, but no arrests were reported. Earlier at dawn Wednesday, IOF soldiers nabbed two Palestinians in the Old City of Nablus and five others in the nearby village of Burqa. Local sources in Tulkarem said that IOF soldiers arrested a young man from Shuwaika suburb in the city. Meanwhile, the Palestine prisoner center for studies said that the Israeli occupation authorities (IOA) renewed the administrative detention, without trial or charge, of its director Osama Shahin for the fifth time running. It said that Shahin, who hails from Al-Khalil, was supposed to be released on Wednesday but the IOA renewed his detention for three more months at the request of the Israeli intelligence. 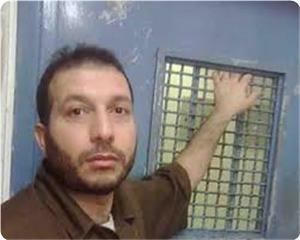 The center said that Shahin, who is held in Negev prison, was first arrested on 30 October 2012 and was held in administrative detention for six months. Israeli police on Wednesday arrested seven people in an East Jerusalem neighborhood, a monitoring committee member said. 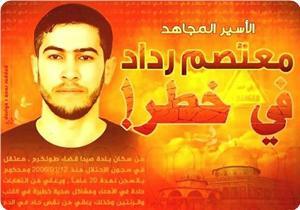 Muhammad Abu al-Homs told Ma'an that Israeli police raided al-Isawiya, raided several houses, and clashed with locals. The police used pepper spray against locals before clashes started, Abu al-Homs said. He identified three of the seven people arrested as Muhammad Abdullah al-Homs, Ahmad Abdullah al-Hams, and the latter's 18-year-old daughter Hanin. An Israeli police spokesman was unable to be reached for comment. Israeli border policemen arrested a Jerusalemite young woman on Wednesday night on “suspicion” of trying to stab a policeman near Issawiye village. A police spokesperson said that the woman was arrested without anyone being hurt, but did not mention whether any sharp tool was found in her possession. In another incident, the border police detained three Jerusalemite minors, who were among dozens of minors throwing stones at settlers’ vehicles also near Issawiye in occupied Jerusalem. Israeli forces detained eight people in overnight arrest raids across the West Bank, locals and Israel's army said. Israeli military jeeps stormed the Nablus village of Burqa at dawn and ransacked several homes before detaining Saddam Raghib Abu Durra, Ibrahim Mousa Abu Asbah, and Abdullah Khairullah Salah. 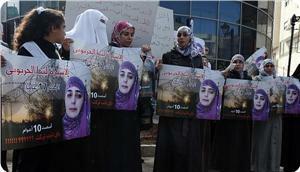 An Israeli army spokeswoman said four people were detained in Burqa, two in Nablus and two in Bethlehem. Israeli forces raid the occupied West Bank on a nightly basis and arrest Palestinians, usually on the pretext of security questioning. Dozens of Israeli soldiers attempted to invade the al-Azza refugee camp, north of the West Bank city of Bethlehem, and clashed with local youths. 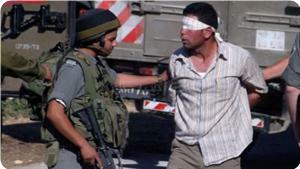 Palestinian kidnapped in Deheisha refugee camp. The Palestine News Network (PNN) has reported that the soldiers were heavily deployed near the Paradise Hotel, adjacent to the camp, and clashed with local youths who hurled stones at them. The soldiers fired gas bombs, and rubber-coated metal bullets; several injuries among the Palestinians have been reported. Israeli soldiers repeatedly invade the Paradise Hotel area, and the Intercontinental Hotel area, on both sides of the camp, and install roadblocks before stopping dozens of Palestinian cars and searching them while inspecting the ID cards of the passengers. The ongoing invasions lead to clashes between the soldiers and local youths, especially since the army frequently targets the camp. In related news, local sources in the Deheisha refugee camp, in Bethlehem, have reported that dozens of soldiers invaded the camp, and kidnapped one Palestinian. Also on Tuesday evening, soldiers closed a road leading to the Beit Ummar town, near the southern West Bank city of Hebron. Local sources said that the army placed a sand barrier on the road, closing an area where more than 200 Palestinians live. Mohammad Awad, spokesperson of the Popular Committee against the Wall and Settlements in Beit Ummar, told the WAFA Palestinian News Agency that the attack is part of ongoing violations against the Palestinians. Awad added that the road is essential to the residents, and by closing it, Israel is imposing further restrictions on the Palestinians’ right to freedom of movement. In addition, dozens of soldiers invaded the al-Eesawiyya town, in occupied East Jerusalem, and clashed with several local youths before kidnapping a Palestinian child. Israeli occupation forces (IOF) manning the Karame crossing between the occupied West Bank and Jordan arrested a Palestinian student from Tulkarem on his return to the West Bank. Sources close to the family of the student Taher Abu Bakir, 22, told the PIC reporter on Tuesday that he telephoned his family on Monday night after hours of detention at the crossing and said that he was being detained. The student is studying law at the International Islamic Studies university in Jordan. He is in the third year and has specialized in comparative law. The Israeli occupation authorities usually detain students at the crossing to obstruct their academic studies. The Israeli occupation authorities allowed on Tuesday night the publication of a news report on the arrest of a number of Jerusalemites on charges of affiliation with a network for Hamas movement. Hebrew press sources said that the Israeli “Shabak” rounded up 16 political activists so far in occupied Jerusalem, who established a network described as an “important infrastructure” affiliated with Hamas. The sources said that network members worked for boosting the influence of Hamas movement among inhabitants of Eastern Jerusalem and in the vicinity of the Aqsa Mosque. They mentioned a number of names all of whom were ex-prisoners and included two brothers. Attorney General of the Israeli government Yehuda Feinstein gave on Monday the green light to a force-feeding bill to be discussed and passed by Knesset. 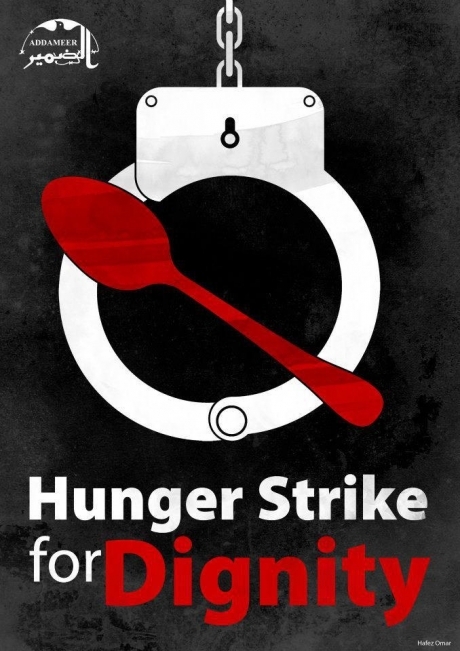 The law provides that any prisoner on hunger strike has to be fed if his life is in danger. “The bill puts several conditions to carry out this procedure which must be under a judicial writ , and performed by an authorized doctor,” an Israeli radio reported on Monday. In the recent months the occupation was forced to release a number of Palestinian prisoners due to the pressure generated by their hunger strike. 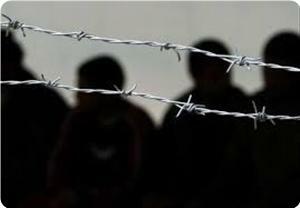 Ministry of Justice in Gaza said that "imposing the bill of force-feeding on the Palestinian prisoners reflect the racially discriminative laws made by the Israeli occupation that puts the lives of the prisoners at risk,"
The International Committee of the Red Cross criticized the bill, stressing the need to respect the choices of the detainees and their human dignity , which is consistent with the position of the World Medical Association in the Declarations of Tokyo and Malta in 2006. "Nassif is scheduled to be presented before a court martial on February 4, 2014 so that his jail term would be fixed," the foundation’s website reported. Nassif is a former prisoner who served more than nine years in Israeli prisons. His administrative detention has been renewed several times, according to the human rights organization. Israeli forces arrested Nassif on February 2, 2013 from his home located in Tulkarem city, after being released on November 11, 2012 having spent 42 consecutive months in administrative detention. The Israeli authorities also upheld an order to keep three Palestinians from Ramallah under administrative detention, it added, who are Abdullah Saafin from Bitounia for 6 months, Ibrahim Sneif for 6 months, and Rami Ais for two months. On October 25th, 2013, 180 administrative detainees announced a series of protest actions such as boycotting courts and clinics, and returning their meals in a protest action against the policy of administrative detention. Israel keeps holding 13 Palestinian lawmakers in its prisons, including 9 administrative detainees without trial or charge. The administrative detainee is a term called on every Palestinian detainees who is arrested by Israeli occupation and kept in prison without charge or trial for six renewable months. 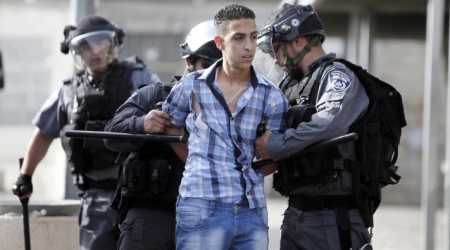 Israeli forces arrested a Palestinian teenager in the East Jerusalem neighborhood of al-Isawiya on Tuesday, locals said. Mahmoud Abu Snieneh, 14, was assaulted and detained by soldiers during clashes in the area, witnesses said. Israeli occupation forces (IOF) assaulted a Palestinian young man south of Al-Khalil on Tuesday morning. Eyewitnesses told the PIC reporter that IOF soldiers stationed to the east of Yatta town detained Bajes Hamamde, confiscated his ID, and beat him with their rifle butts. They said that the soldiers set up a number of ambushes east of Yatta and intercepted passing cars. Meanwhile, IOF soldiers manning the Karame crossing detained a Palestinian on his return from Omra (minor pilgrimage) in Saudi Arabia. Local sources said that Fada’a Kamanji, 37, was served a summons after detention and interrogation period at the bridge for intelligence investigation. They said that Kamanji, a resident of Jenin, was released at a late night hour on Monday after hours of questioning in the Shabak room at the crossing. 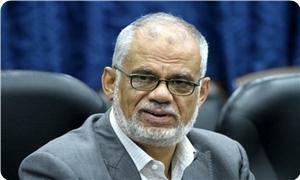 Palestinian minister of justice in Gaza Attallah Abul-Sabeh said that the ongoing silence of the international community on the daily crimes and violations of Israel and its army against the Palestinians has given them impunity to persist in violating the international law without being held accountable. In a letter addressed to UN secretary-general Ban Ki-moon, Abul-Sabeh explained that Israel's different inhuman practices against the civilian population in the occupied Palestinian lands flagrantly violate Geneva conventions and the international treaties that protect the civilian population under occupation. He also said that Israel is an occupation entity and its assassination of anyone of the occupied Palestinian people is considered a war crime under the fourth Geneva convention. The minister appealed to Ki-moon to necessarily intervene to put an end to Israel's serious violations against the occupied Palestinian people and pressure it to immediately stop all its settlement and Judaization activities in the occupied lands. The minister also called on Ki-moon to pressure Israel to release all Palestinian prisoners, especially women and children, in accordance with Geneva conventions and the international humanitarian law as well as the international laws that protect the human rights and the rights of prisoners. The sick prisoner Mohammed Mardawi, 34, was transferred Monday to Soroka Hospital after his health condition seriously deteriorated. Family sources confirmed that Mardawi, sentenced to 28 years imprisonment, has been transferred to Soroka Hospital with lung inflammation, adding that he has one lung functional. He has recently started suffering a lung virus causing him chest pain and breathing difficulties, the sources added. Mardawi's health condition has sharply deteriorated as he became unable to talk, while Israeli Prison Administration continued to refuse to provide him with necessary treatment. The Palestinian Prisoner Society's lawyer quoted Mardawi as saying that when he has informed the prison doctor about his breathing difficulties and chest pains, the doctor replied that he cannot do anything for him. “You have been held in a cramped room for 15 years, what do you expect would happen to your lung?”, the doctor told him. Mohammed Mardawi, held in Eshel prison, has spent 14 years out of his 28-year sentence. Israeli forces launched multiple raids across the West Bank early Tuesday morning, detaining at least 22 young Palestinian men. Spokesman for the youth movement in East Jerusalem Hani Halabiyya told Ma'an that Israeli troops stormed al-Eizariya and Abu Dis villages shortly after midnight and detained 15 young men after ransacking their homes. Halabiyya highlighted that fierce clashes broke out between the Israeli troops and young men from the villages during the raid. The soldiers fired tear gas haphazardly at Palestinian houses, he said. More than 35 military vehicles, a bulldozer and four military buses were seen in the two villages, added Halabiyya. 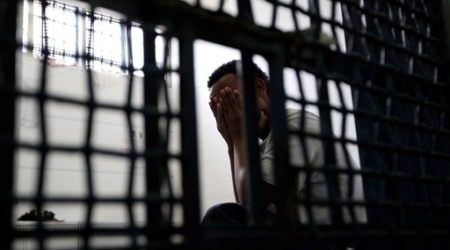 He identified the detainees as Muhammad Mujahid Abu Rumi, Ahmad Muhammad Jamous, Muhammad Hasan Bassah, Karim Shujaiyya, Muhammad Basim Abu al-Reesh, Abdul-Salam Yousuf Sinnawi, Samir Sanduqa, Amjad al-Khateeb, Musab Salah, Ziad Khalil al-Sabe, his brother Tariq, Muhammad Ali Faroun, Muntasir Gheith, his brother Hani, and Muhammad Iyad Udwan. Israeli troops also ransacked the homes of Jamal Bassah and Ammar Bassah in al-Eizariya, firing tear gas inside the houses during the raids and damaging the interiors of their homes. The invading soldiers put up posters in the two villages urging parents to watch out for their children, who the posters claimed are "involved in terrorist activities." The posters included photos of parents who Israeli forces claim are the parents of those involved in attacks against Israel. "We hereby notify you that your children are involved in terrorist attacks against citizens of the state of Israel. Practices by those young men endanger innocent citizens, and if they do not stop what they do, the IDF will have to take action to stop these practices," the posters read. The leaflets added, "If you don't stop them, tough restrictions will be imposed and will negatively affect your lives. Residents of Abu Dis! If you want to avoid having your photos on a post like this, stop the terrorist attacks your kids are practicing. … Stop them before it's too late. He who warns is excused!! Overnight raids by Israeli troops were also reported in Nablus in the northern West Bank. Locals told Ma'an that Israeli soldiers stormed Askar refugee camp east of Nablus and detained 24-year-old Nasooh Abu Saadah. Separately, an Israeli force raided the village of Beita south of Nablus and detained 19-year-old Baraa Bilal Hamayil, 22-year-old Ghassan Marwan Hamayil. Moreover, 22-year-old Abdul-Hafeeth Shehadah was detained from his house in Urif village near Nablus. Israeli forces also stormed al-Tur village in East Jerusalem and detained three teenagers. A Ma'an reporter identified them as 18-year-old Bahaa Addin Abu al-Hawa, 18-year-old Tariq Abu al-Hawa and 18-year-old Walid Abu al-Hawa. 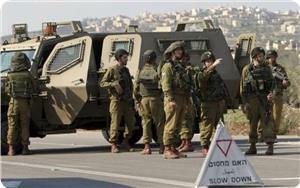 An Israeli army spokeswoman confirmed the raids in Urif, Nablus, and Beita, but had no information on the other raids. She did, however, add that 10 Palestinians were detained in other overnight raids across the West Bank. 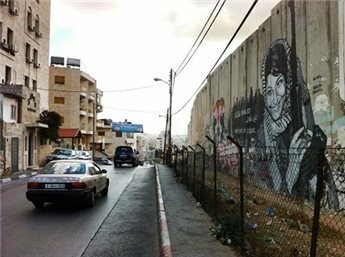 She confirmed two detentions in Qabatiya near Jenin, four in Beit Lid near Nablus, two in Deir Abu Mishal near Ramallah, one in Harmala near Bethlehem, and one in Bethlehem itself. The raids follow the detention of 15 Palestinians across the West Bank in overnight raids on Monday. Israeli Occupation Forces (IOF) arrested 16 Palestinians from Alezariya and Abu Dis towns east of occupied Jerusalem on charges of throwing stones and Molotov cocktails, Israeli media sources said on Tuesday. Local sources told the PIC reporter that IOF soldiers stormed the towns at late hours on Monday, which led to the outbreak of violent clashes during which Israeli forces fired tear gas bombs and rubber bullets. 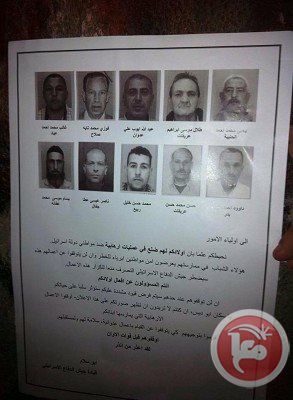 IOF soldiers have distributed leaflets threatening Abu Dis and Alezariya's residents against continuing "security breaches and terrorist practices," the sources added. The Israeli leaflets called on Palestinian citizens to "prevent their sons from carrying out attacks against Israeli citizens, otherwise harsh measures would be taken against them", the sources said. Violent confrontations erupt at daily basis along the apartheid wall that separates Abu Dis and Alezariya from the rest of Jerusalem. Meanwhile, the PIC reporter quoted security sources as saying that IOF soldiers rounded up 14 Palestinians from various West Bank areas on Tuesday. 17 Palestinian female prisoners are currently held in Hasharon prison suffering very difficult detention and health conditions due to the Israeli deliberate medical negligence and ill-treatment. According to Palestinian Prisoner Society (PPS), Lena Jarboni, from Buttof village in the Green Line, suffers from acute cholecystitis but she only receives painkillers, while Nawal Saadi, from Jenin, suffers high blood pressure and severe back pain. The Palestinian female prisoner Inam Hasanat suffers from migraine, while the female captive Ayat Mahfouz has lost sight in her right eye, and Nahil Abu Aisha suffers from rheumatism, the PPS statement noted. The Israeli Occupation Forces (IOF) detained Monday 27th January, European Press Agency photographer Abed El-Hafiz Al-hashlamoon and WAFA Agency photographer Ahmed Mizher, during their coverage of the clashes erupted between Palestinian citizens and IOF in Khilat Alnahl area near the city of Bethlehem, The Palestinian Center for Development and Media Freedoms (MADA) said in a press release. 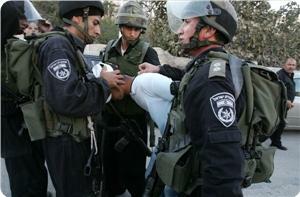 Al-hashlamoon reported to the MADA that the IOF searched, insulted, and detained them for about an hour and half . 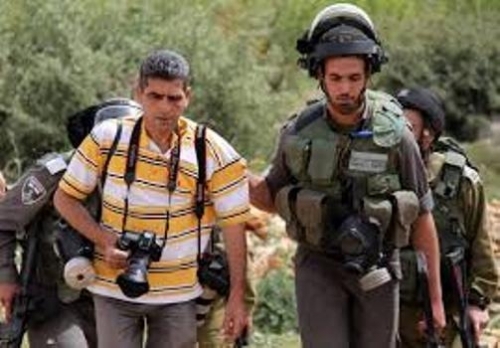 On a related context, the IOF attacked on Friday 24th January 2014, the French agency photographer Jafaar Ishteya, when he was covering the Kafir Kadoum village north of West Bank weekly demonstration against the wall and the stelment. Ishteya reported to MADA that "During our coverage of the Kafir Kadoum weekly demonstration, as usual we stood on a specific side to be clear to the army that we are journalists so we don't get targeted. I was wearing the appropriate journalist attire a phosphoric painted jacket with the word "press" written on it, since this morning, a soldier got out from behind the wall and began firing volleys of tear gas by an automatic weapon on journalists, I raised my hand to my face for protection but got slammed and was hit by a bomb in my right hand, the injury was minor, and I have received treatment. This was my first injury. Ishteya added, "once the demonstrators' number increased and clashes erupted, the IOF began firing tear gas; I was standing with three colleagues when we were targeted deliberately and directly with tear gas bombs. I was the closest to the soldiers, I was hit with a bomb straight from the back that hit my right shoulder, I passed out on the ground for seconds, and my jacket burned, MY shoulder was bleeding, so the men rushed me to an ambulance which transferred me to the hospital for treatment". This wasn't the first time Ishtaeya was attacked by IOF soldiers, where on 17th August 2012, a group of Israeli soldiers beat Ishteya with bats and broke his right arm during his coverage of the Kafir Kadoum weekly demonstration. MADA Condemns Israeli violations against journalists and calls on the international community to pressure Israeli authorities to stop their attacks and hold aggressors accountable.